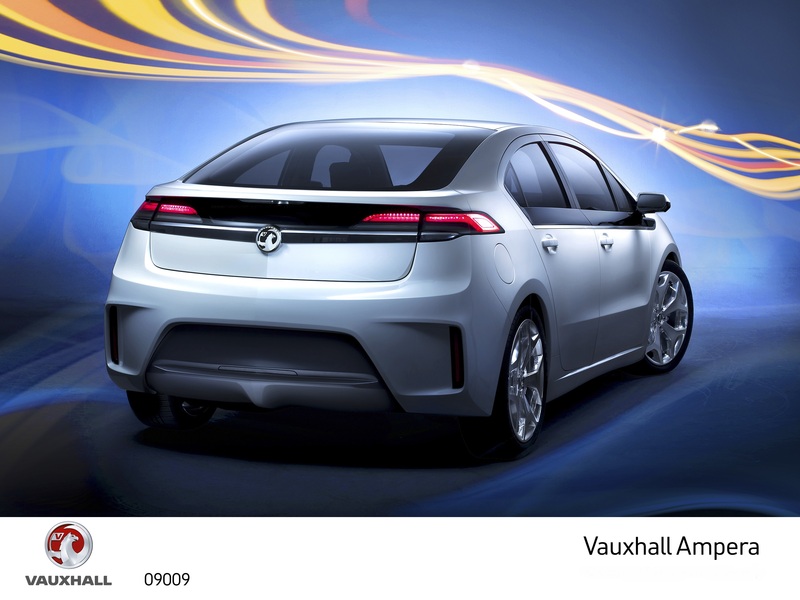 The Vauxhall Ampera story begins in the US with the Chevrolet Volt Concept which debuted in January 2007 at the at the North American International Auto Show, and was the first-ever plug-in hybrid concept car shown by a major manufacturer. 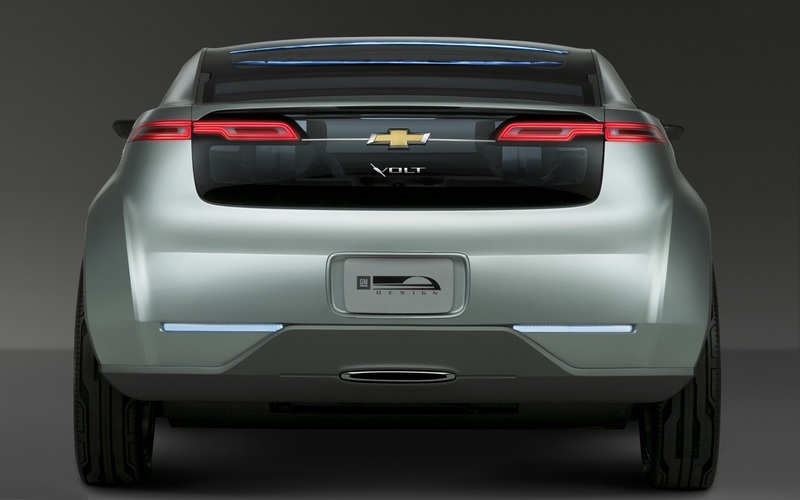 The Volt Concept was a four seat 5 door hatch. This was far more practical compared to the first GM electric car effort – the EV1 which used a heavy conventional lead acid battery pack and took up 100 litres of space, the Volt was 100 litres using lithium-ion battery technology. GM Vice Chairman Bob Lutz wanted to develop an all-electric vehicle but Jon Lauckner, GM Vice President for Global Vehicle Development, convinced him that due to lack of range and charging infrastructure they could use a smaller battery pack with a small petrol engine driving a generator acting as a backup to extend the range without a mechanical connection between the petrol unit and the drive wheels, so it would be a pure electrically driven vehicle without any of the limitations. the battery degradation and allow a 10 year life span. The target range with the engine-generator was estimated at 250 to 300 miles. 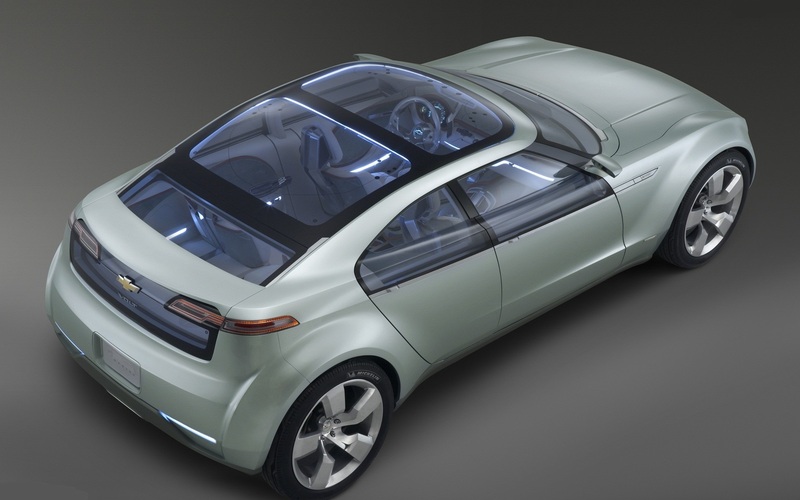 The concept car was based on a range of common electric powertrain components which was called the E-Flex Systems, “E” stood for electric drive and “Flex” for the different sources of electricity, but was later renamed Voltec. This powertrain idea was to standardize components for future electric vehicles and allow interchangeable electricity-generating systems. The Voltec powertrain was able to be adapted from pure electric, fuel cell power or to other energy sources to create electricity on board. Regenerative braking also contributed to electricity generation. 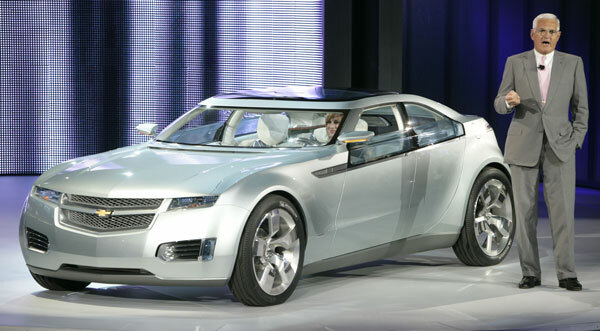 In October 2006 the Voltec powertrain was given the go ahead by GM and the name of the Concept car would be called Volt. The Volt Concept combined the same electric motor from the Chevrolet Equinox Fuel Cell, a 16kWh lithium-ion battery pack with 136kWh peak power, and a 1.0 L, 3-cylinder turbocharged flex fuel engine linked to a 53kWh generator. GM called this an electric vehicle “range extender”. The vehicle was propelled by a 160bhp electric motor and delivering 236 lb-ft torque. The C featured several advanced materials from GE Automotive Plastics which allowed GM to reduce the normal weight by 50%. Included was a 10 gallon fuel tank providing the car with a 640 mile total range but GM stated that an actual production version depended on continued battery development, the Concept car was actually powered by two 12-volt lead acid batteries to give just enough power to allow the vehicle to move at low speeds for displays. The production model was first shown on September 16, 2008, as part of GM’s centennial celebration at the Wintergarden HQ in Detroit. The production model was a completely differed design to the original Volt concept and was styled by Bob Boniface. The aerodynamic changes reduced the drag coefficient to Cd 0.28. The car used GMs new Delta II platform and had seating for 4 rather than 5 passengers due to the higher central tunnel that housed the car's T-shaped battery pack. Once in the pipeline for production, GM looked for a partner to develop the Volt's lithium-ion battery pack. GM evaluated 25 different battery cell chemistries and constructions from 24 lithium-ion battery makers. Two companies were selected in June 2007, the first Compact Power (CPI) used a lithium manganese oxide (LiMn2O4) cell made by its parent company LG Chemical from Korea. The second Continental Automotive Systems used lithium iron phosphate based cylindrical cells made by A123 Systems. At the end of October 2007 CPI delivered their finished battery pack prototype, and A123 theirs by January 2008. In April 2008 GM began extensive testing both in the same laboratory created for the GM EV1 programme. The Voltec powertrain was fitted to a fleet of Chevrolet Malibus to use as test mules for real-world testing. In July 2008 GM confirmed that the GM Family 0 1.4-liter 4-cylinder engine would be used for the range extender and the intention was to build it in Flint Michigan. In October 2008 GM chose CPI to provide the battery systems for the first production version of the Volt and in April 2009 GM allowed journalists to test the Volt powertrain in a Chevrolet Cruze test mule without the range-extending generator at the GM Technical Centre. The first pre-production test car was built in June 2009 in Warren Michigan and by October 2009 80 Volts had been built and were tested under various conditions. 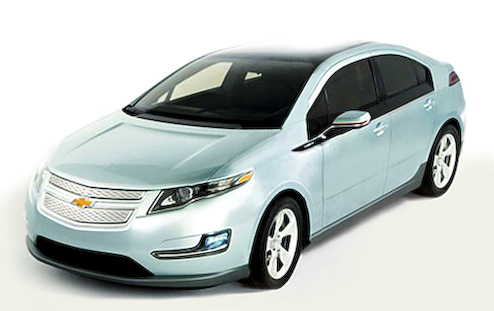 On March 31 2010 the first factory-built Volt was produced at the Detroit Hamtramck Assembly Plant in order to test the production line and for quality control purposes before regular production began. Tony Posawatz was the Volt Vehicle Line Director from 2006 to 2012 and was known as employee No1 and led the team from concept to production. Deliveries to retail customers began in mid-December 2010. The Volt has a top speed of 100 mph and a 0-60mph acceleration time of 9.2 seconds running on electric-only mode, and 9.0 seconds with the petrol engine assisting propulsion. 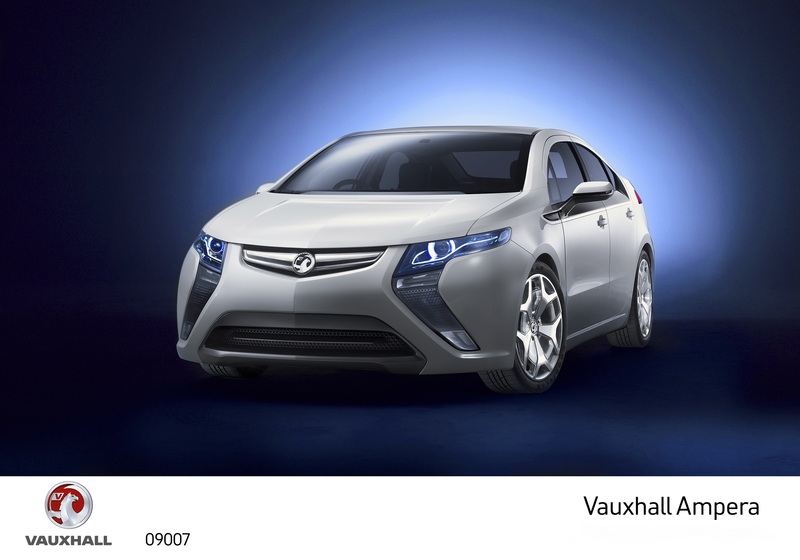 The Vauxhall Ampera version of the Chevrolet Volt was first unveiled at the Geneva Motor Show in March 2009 and also was exhibited at the 2009 Frankfurt Auto Show. The powertrain of the car was altered for European conditions with a battery control module developed at the GM Europe Alternative Propulsion Center at Mainz-Kastel in Germany. 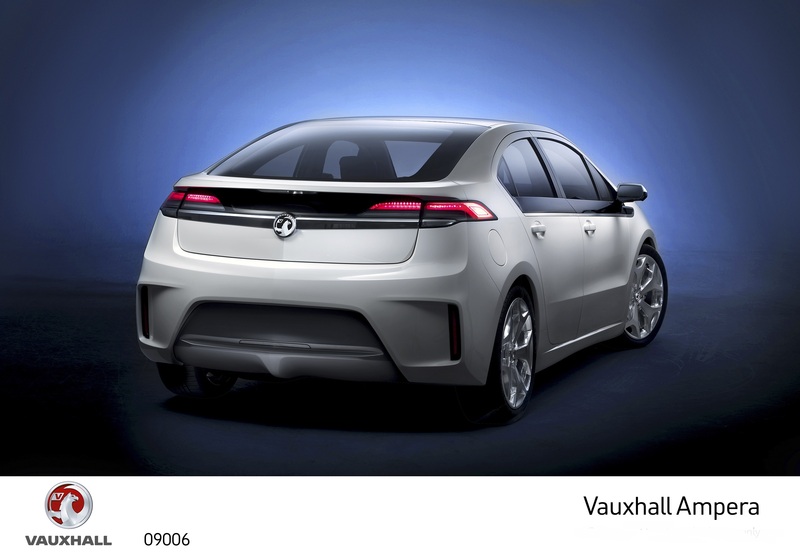 The Vauxhall Ampera also features a different front and rear body design styled by Phil Zak, Head of Exterior Design for Vauxhall / Opel, which would be the start of a new look for future designs such as the Zafira Tourer. 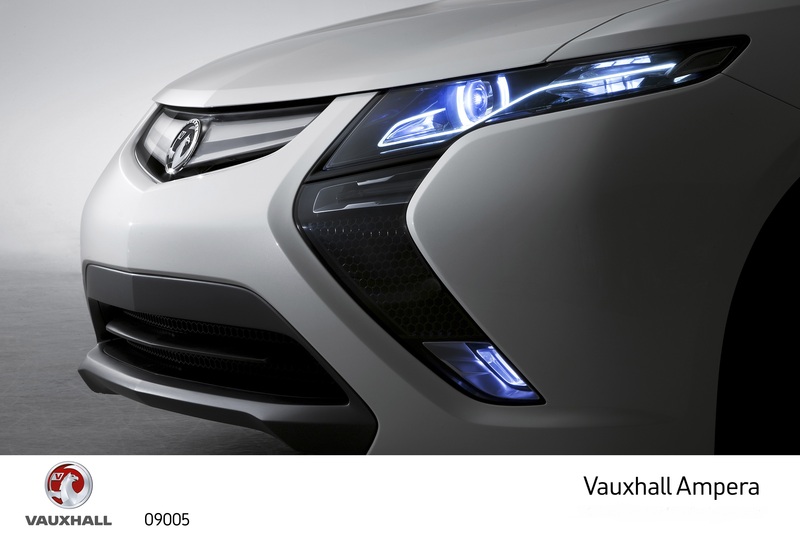 The Vauxhall Ampera features more stylized alloy wheels as standard, and the side skirts are body-colored rather than black. The interior features only minor differences but both versions share the same exact powertrain and battery pack. A key operational difference is that the Vauxhall Ampera has 4 drive modes, one more than the 2011/12 model year Volt. The additional option is "City Mode", which adapts battery management to the needs of commuter travel. City mode or "battery hold" engages the range-extender immediately, allowing to save the energy currently stored in the battery, and when switched off the range-extender stops and the Ampera is then able to use the energy saved in the battery for pure electric driving. This is useful for traveling urban areas or restricted zones, such as the London Low Emission Zone where the Ampera qualifies for an exemption of the London Congestion Charge. The full production version of the Ampera was unveiled at the 2011 Geneva Motor Show. All versions of the car - Chevrolet Volt / Holden Volt / Vauxhall Ampera & Opel Ampera are assembled at the same Detroit Hamtramck Assembly plant in Michigan. GM's production target for 2012 was to manufacture 10,000 Amperas for sale in Europe, a full 4,000 destined for Vauxhall just for the UK and 6,000 Opel Amperas for the whole of the rest of Europe, plus an additional 2,000 Chevrolet Volts were to be made available for the region. 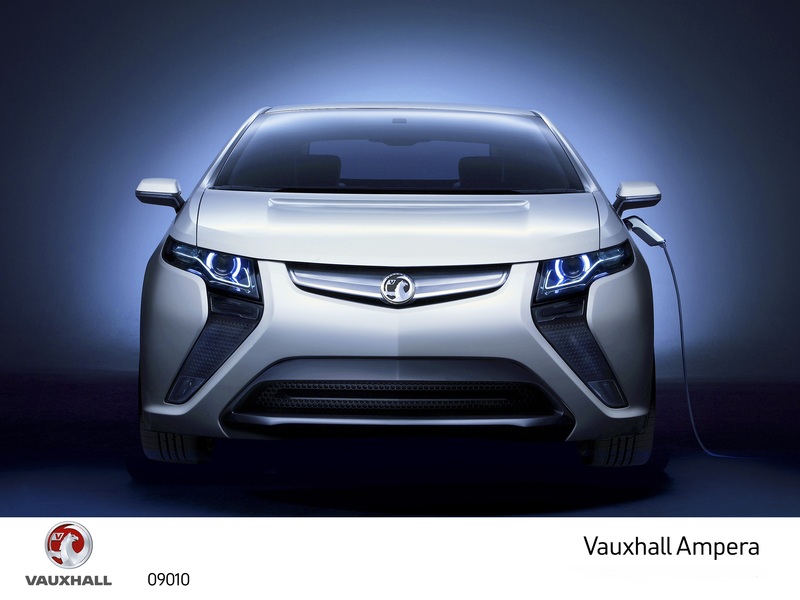 Vauxhall targeted the Ampera for business fleet market and local government agencies, where Vauxhall had a huge customer base. By June 2011 around 5,000 customers across Europe had reserved an Ampera, with fleet or business customers representing 60% of these reservations, and a total of 7,000 orders were received by March 2012, with the UK, Germany and the Benelux the top markets in terms of volume. Distribution of the Vauxhall Ampera to dealerships began in December 2011, but deliveries to customers were delayed until February 2012 because Vauxhall decided to wait until the American NHTSA completed its investigation of the Chevrolet Volt's battery fire risk after a crash although the car was found not to be at fault. 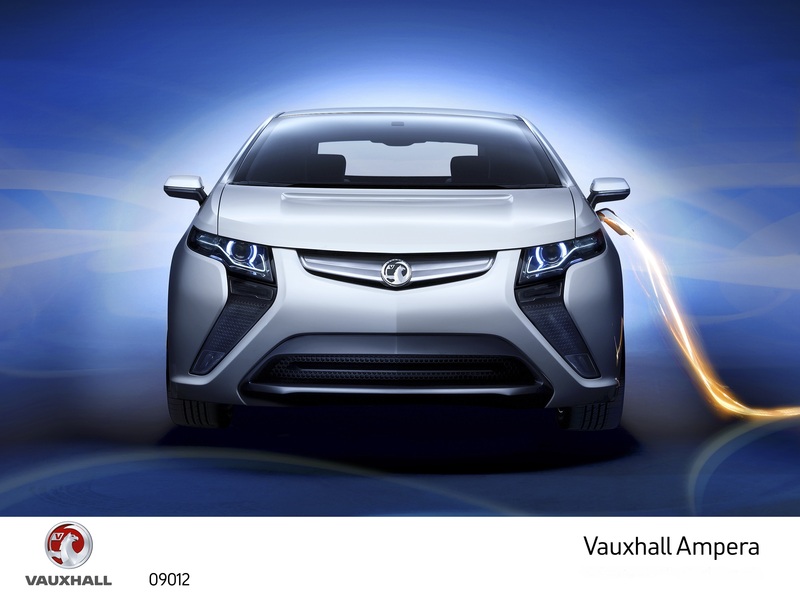 Since May 2012 the Vauxhall Ampera has been available through the Zipcar carsharing club in London, Bristol, Cambridge & Oxford. The Vauxhall / Opel Ampera was Europe's top selling plug-in electric car in 2012 with 5,268 units representing a market share of 21.5% of the region's plug-in electric passenger car segment. 2011 Overall Winner of What Car? 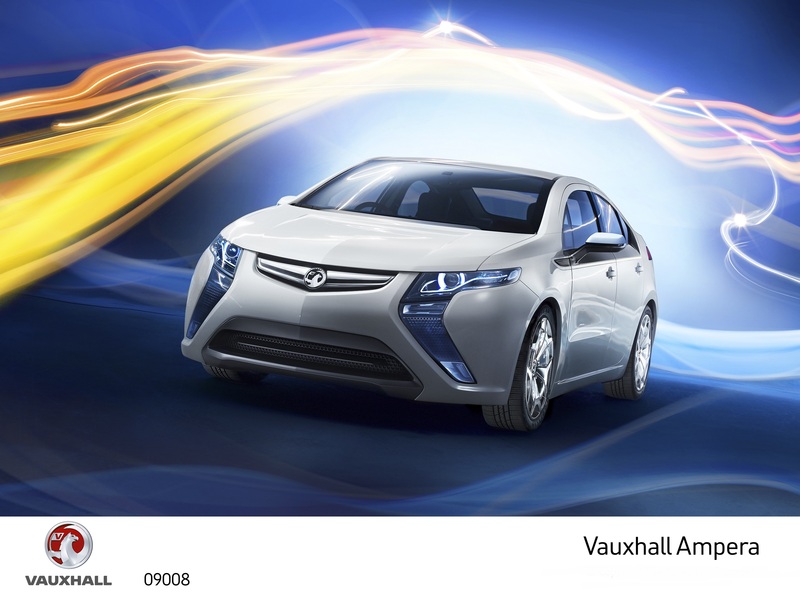 Green Award Vauxhall Ampera. 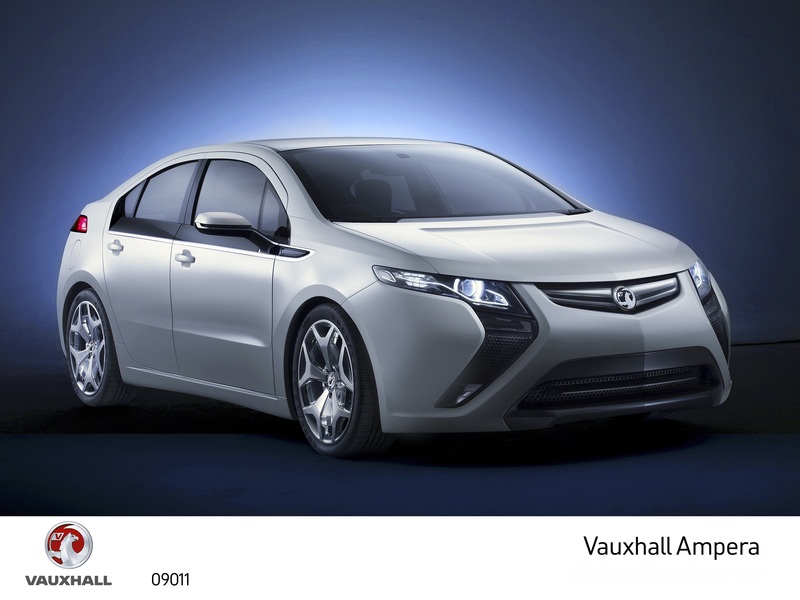 2011 Top Gear's "Green Car of the Year 2011" Vauxhall Ampera. 2012 European Car of the Year shared by the Chevrolet Volt and the Vauxhall / Opel Ampera and became the first car developed in the U.S. to win this European award.